Dutch development bank FMO and Crédit Agricole CIB have arranged a US$32.5mn facility for the construction of a US$65mn green-field grain terminal in Quequén, one of the two deep sea grain ports in Argentina. FMO will provide an eight-year A loan of US$16.25mn and Crédit Agricole a five-year B loan of US$16.25mn. The terminal is a joint venture of international agri trading companies CHS and Noble Agri, together with Argentinean grain companies Alea, E-Grain, A&J Nari and Lartirigoyen. The project’s funding will be raised through an equal share of equity/debt. The terminal is expected to commence operations in the first quarter of 2016, as it is already completed for a large part. 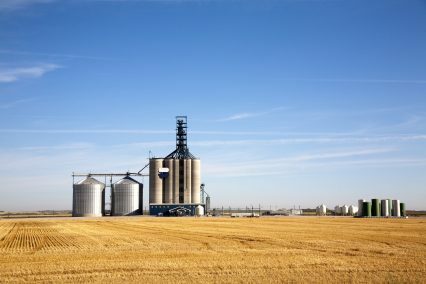 The terminal will be used to store and load soybeans, soy meal, wheat, corn and barley sourced from the south of the Buenos Aires province and will have a total export capacity of two million tonnes of grains per year. According to the FMO, this transaction will add grain export capacity in a strategic deep sea port in Argentina, using the latest technological and environmental standards. The grain terminal will improve supply chain efficiency and will generate additional direct and indirect employment in the region. Argentina’s new government lifted disputed export controls in grain and beef soon after being sworn into power in late 2015. The country is one of the world’s largest producer of livestock and grain.